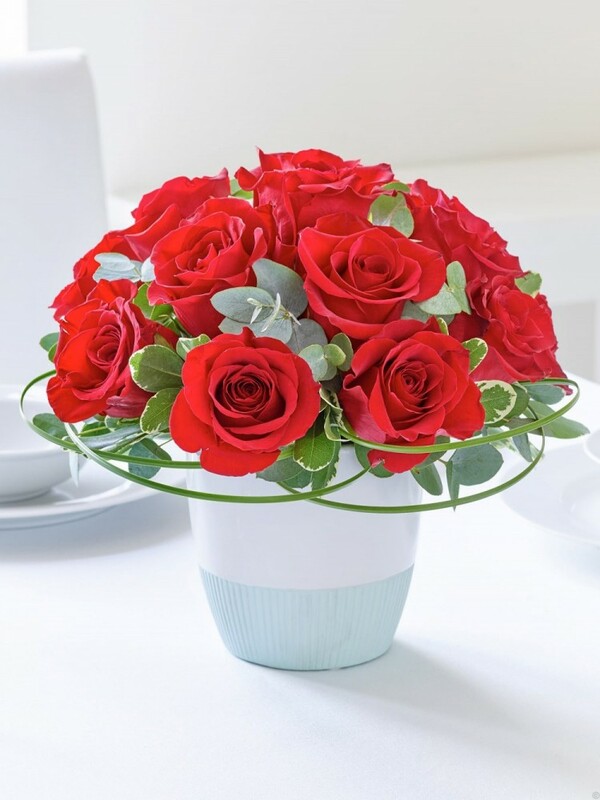 Why not show how much you care in classic style with this exquisite arrangement of stunning red roses? This gift includes a dozen velvety large headed blooms in radiant red, all expertly arranged to maximise their glorious natural beauty. Featuring 12 red large headed roses arranged with steel grass, eucalyptus and pittosporum and presented in a two-toned duck egg blue and white ceramic.